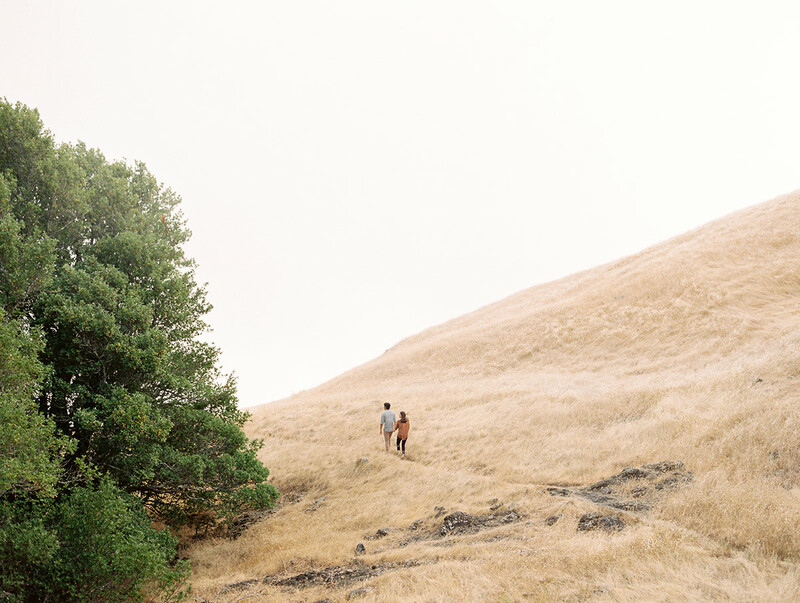 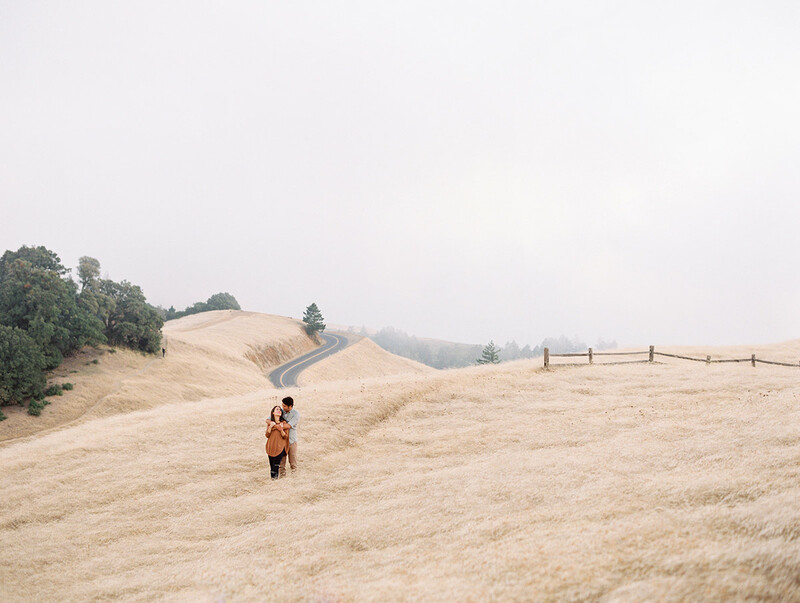 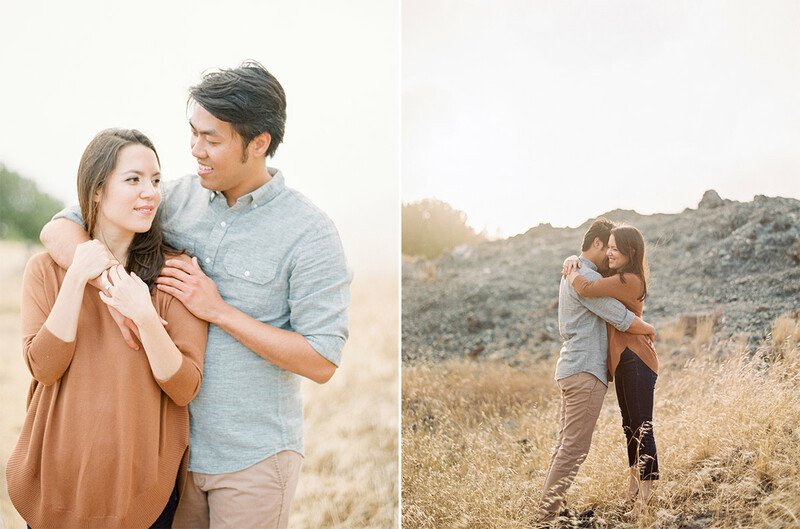 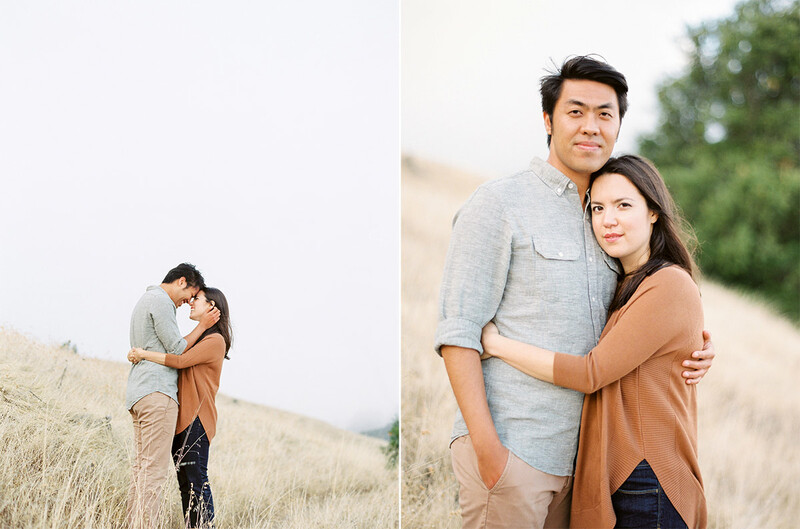 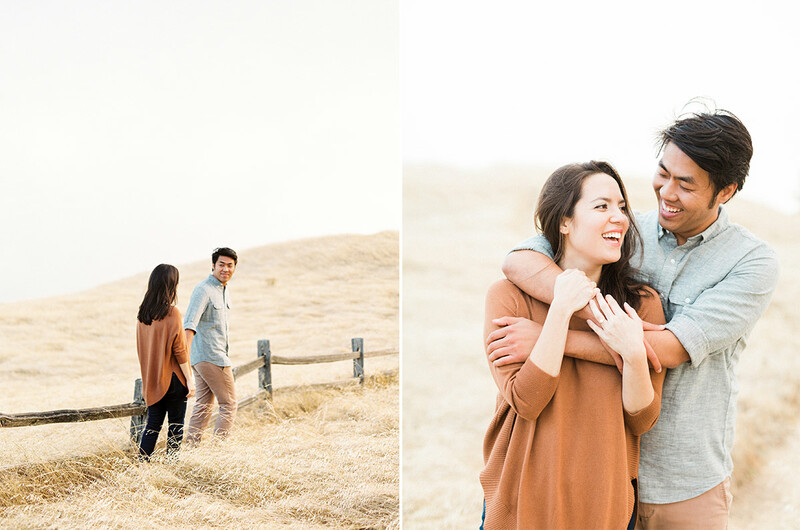 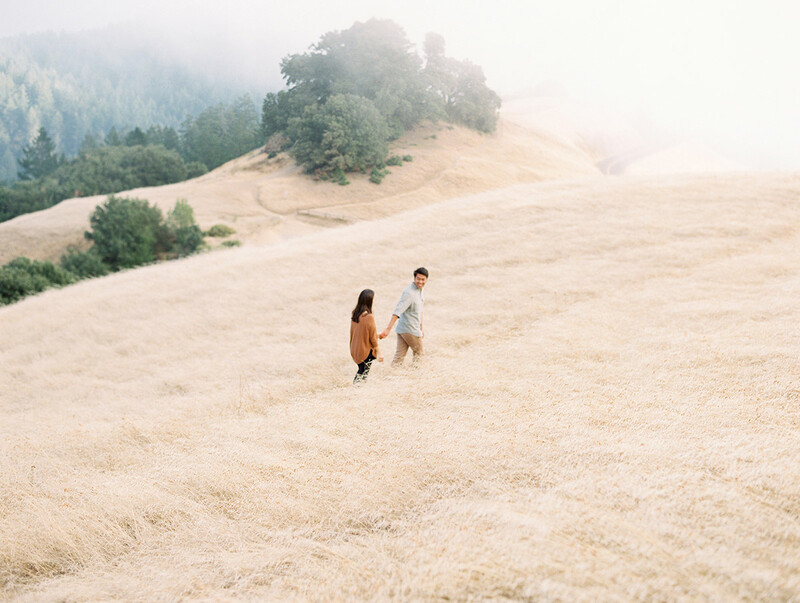 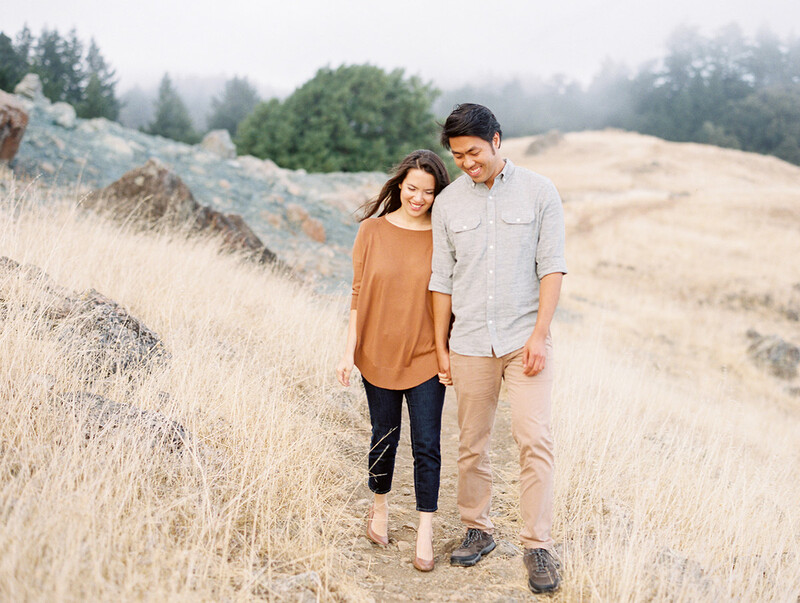 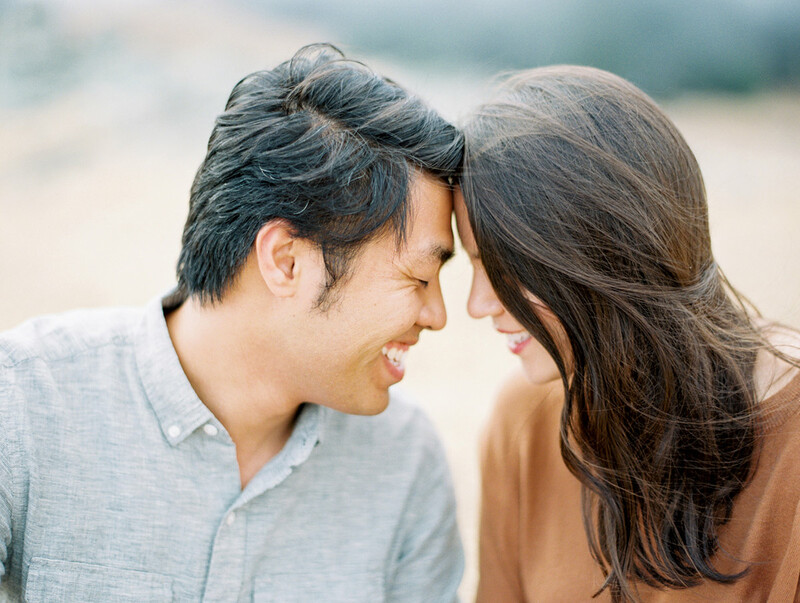 When Kristen, Adrian and I planned their engagement session together, we had envisioned the beautiful golden hour light for their Mount Tam engagement photos. 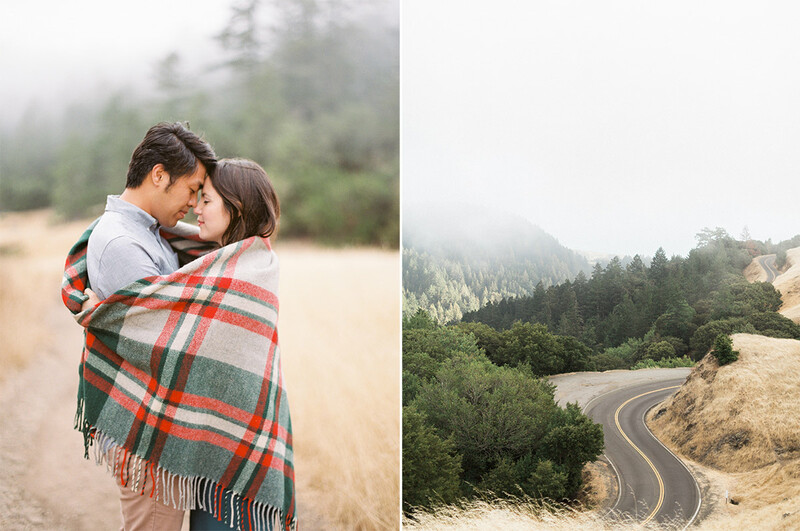 On our drive over the bridge into Marin County, the fog started to get thicker and once we met them for the shoot, the sun had all but disappeared. 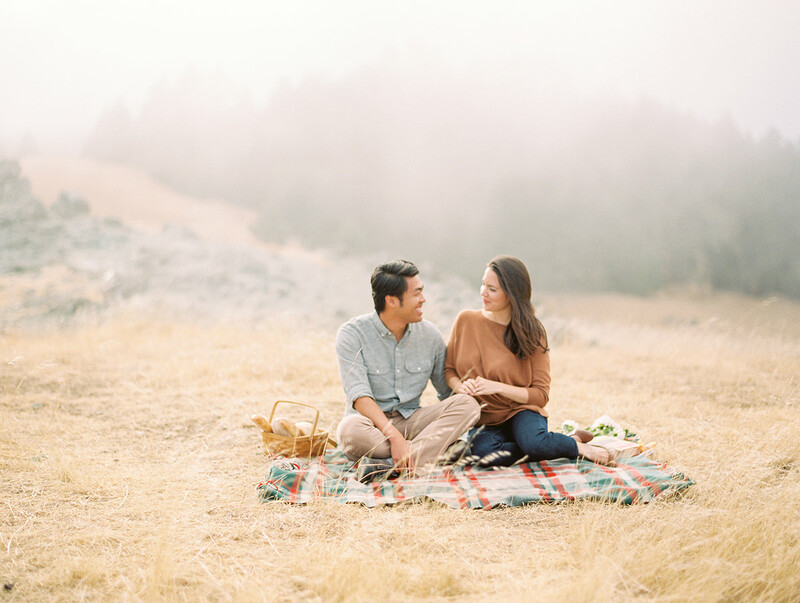 But personally, I think the fog is even more beautiful and romantic in the photos! 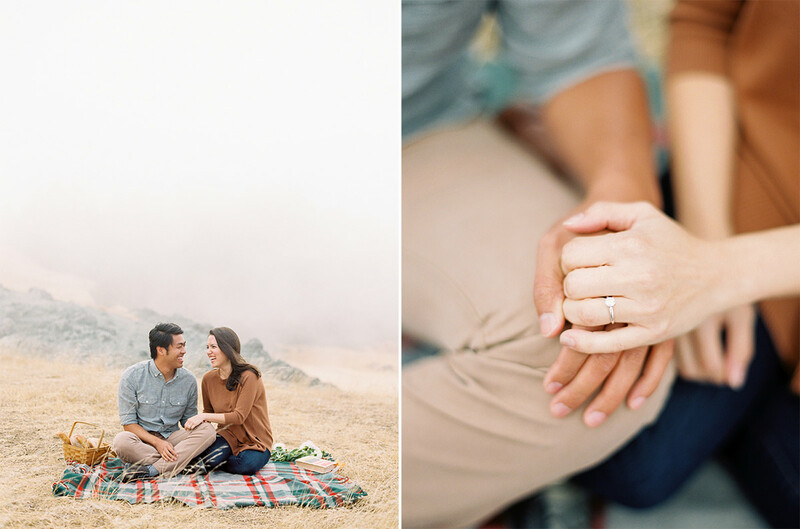 I always try and find beauty in the unexpected, this was one of those moments when the unexpected surpassed our expectations! 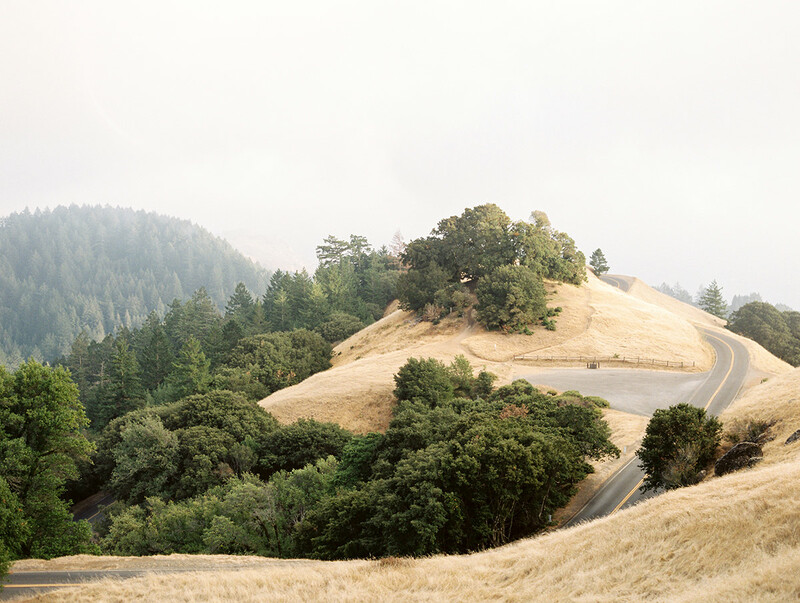 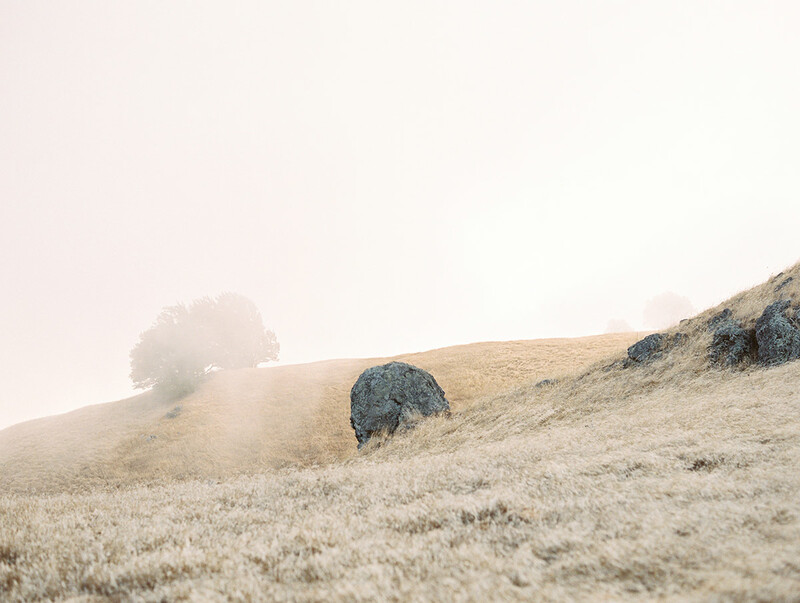 I love the way film rendered the tones of the fog and golden hills. 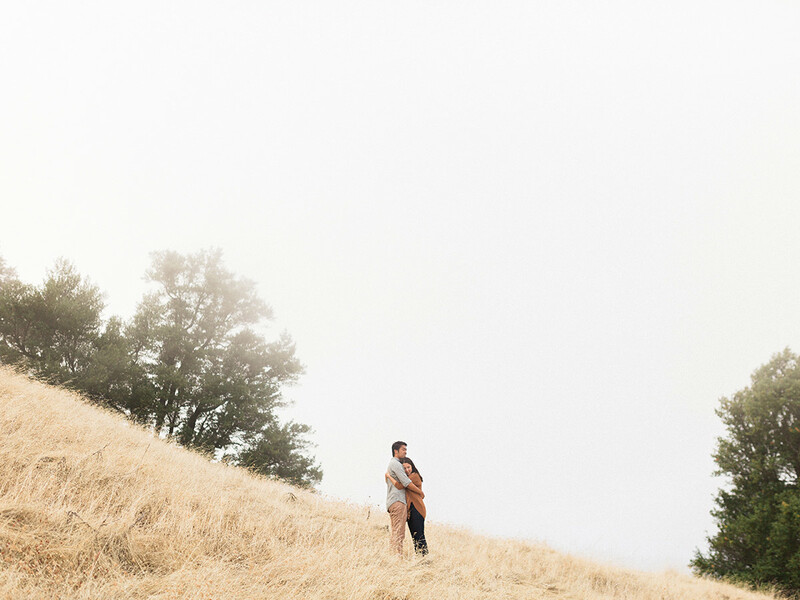 I can’t wait to share their wedding images, it was such a gorgeous celebration!